When your doctor says your numbers are “fine”, but you don’t feel “fine”, its time to look through another lens. The normal values on standard blood work is a reflection of the community at large. These ranges can vary from community to community. Do you want your health to be AVERAGE? Or do you want your health to be OPTIMAL? We recommend that all of our patients get a complete blood panel to assess and identify a variety of patterns ranging from thyroid imbalances, blood sugar dysregulation, nutrient deficiencies and anemia, to kidney, liver, and immune system dysfunction. STOP PAYING HIGH FEES FOR YOUR LAB TESTING! Have you ever wondered how you can get the blood lab testing you need at the lower wholesale cost paid by doctors and clinics? High insurance deductibles does NOT mean you have to pay the high fees for your lab testing out of your own pocket! Our clinic has partnered with a nationwide Wholesale Blood Lab Testing Service to bring you and the entire community the blood lab testing you need at some of the lowest possible wholesale pricing you will find anywhere. In some cases you pay up to 90% less than you would at your local medical clinic and other lab testing services for the exact same testing using this new service! It’s super simple to order this testing yourself. Just go to the Wholesale Blood Lab Testing Service website, and then search and select the lab tests you want to order. After you pay for your lab testing you will receive an email usually within 24 hours with your lab orders and instructions on how to complete your testing. You will also receive an invoice or receipt so that you could still submit this lower fee lab testing to your own health insurance, or to any type of HSA or healthcare reimbursement account you have. The panel we run is similar to one you would have received from a conventional medical doctor ten years ago. 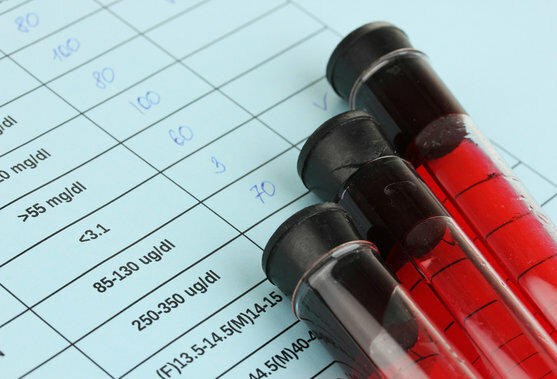 It includes over 50 laboratory tests to provide a biochemical assessment of your health including lipid, thyroid and kidney panels as well as glucose, minerals, a complete blood count, fluids, and electrolytes. Today, conventional medical doctors only screen for what HMO’s have defined as “medically necessary” in order to reduce the cost of patient care paid for by insurance companies. The current panel run by doctors typically includes only a lipid panel and seven blood values, severely limiting the evaluation of your health. Hypothyroidism is one of the most under diagnosed and mismanaged conditions in healthcare. It is estimated that one out of three people in our population has one of the eight forms of hypothyroidism. If you have a low functioning thyroid, symptoms vary but may include fatigue, depression, weight gain without overeating, dry skin, loss of hair, puffy face, or menstrual irregularities. This comprehensive thyroid panel includes all blood markers required for thoroughly evaluating all aspects of thyroid function. Did you know that 50% of the population is either diabetic or pre diabetic. And that 90% of the people who are pre diabetic don’t know it? Blood sugar issues are easy to turn around. The problem is our medical system isn’t addressing them soon enough. Why should you care? Because the damage from diabetes (vision, kidneys, neuropathy) starts 10 years before diabetes is ever diagnosed. Be sure to tell your friends and family about this new service available through our clinic so that they can also begin saving money on their lab testing as well! Debra Gorman can also help provide you with detailed evaluation of your lab results, and offer you dietary and nutritional recommendations to help you improve and maintain your health more naturally. Call Debra Gorman at 707-284-1402 to learn more!